The Conestoga was a twin-engine high-wing monoplane with tricycle landing gear. The elevated flight deck was contained in a distinctive, almost hemispherical nose section. Its two 1,200 hp (890 kW) Pratt & Whitney R-1830-92 air cooled 14-cylinder, twin-row, radial engines, the same engines fitted to the C-47, drove three-bladed Hamilton Standard Hydromatic constant-speed, full-feathering propellers and powered a 24-volt electrical system. While the fuselage was thin-gauge stainless steel, only a portion of the wing was made of the metal; the trailing section of the wing and all control surfaces were fabric-covered. 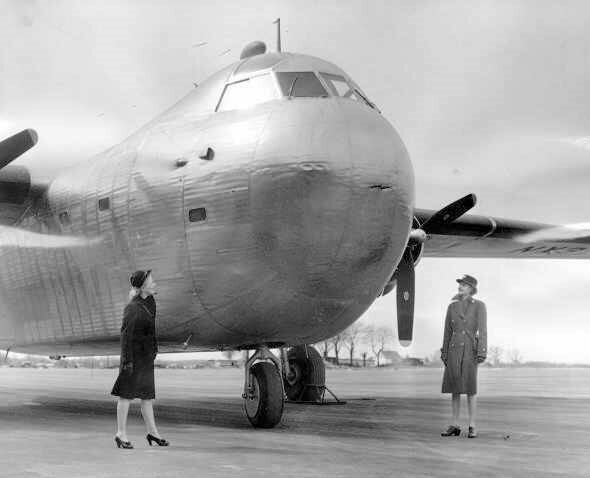 The RB-1/C-93 introduced many of the features now standard in military transports. The flight deck could accommodate three crew members, pilot and co-pilot side-by-side, the navigator behind them. Stairs connected the flight deck to the cargo area, which was 25 feet (7.6 m) long with an unobstructed cross-section of 8 × 8 feet (2.4m) throughout its length. Cargo loading and unloading could be accomplished in two ways: through 40 × 60 inch (102 × 152 cm) doors on both sides of the fuselage or by an electrically operated 10 × 8 foot (3.0 × 2.4 m) ramp at the aft end of the cargo area under the upswept tail, a similar development to what had been initially fitted to the Germans' own Ju 90 four-engined transport aircraft as their Trapoklappe ramp in 1939. The largest ambulance in use by the U.S. military. The prototype first flew from the Budd Red Lion Factory Airfield in Philadelphia, Pennsylvania on 31 October 1943, piloted by Guy Miller. The prototype had a takeoff run when empty of just 650 feet (200 m), and could carry a maximum payload of 10,400 pounds (4,700 kg) with a takeoff run of 920 feet (280 m). However, the aircraft demonstrated greater than expected fuel consumption; the range with a standard payload was only 700 miles (1,100 km), 650 miles (1,050 km) with a maximum payload. Three prototype aircraft: NX37097, NX41810, and NC45354 were built; one was used for testing radio equipment, while the other two were used for flight test evaluations. During testing, a few aircraft had difficulty with the simultaneous deployment of the right and left landing gear. With the same engines as the C-47, but 3,000 pounds (1,400 kg) heavier (empty), the aircraft was relatively underpowered. At the Budd factory and airfield in Philadelphia, Pennsylvania, there were construction delays due to cost overruns and problems with stainless steel fabrication. By late 1943, aluminum production had been increased with the construction of new processing facilities, and other more conventional cargo aircraft (such as the Curtiss C-46 Commando and the Douglas C-47 Skytrain) were being produced in large numbers. 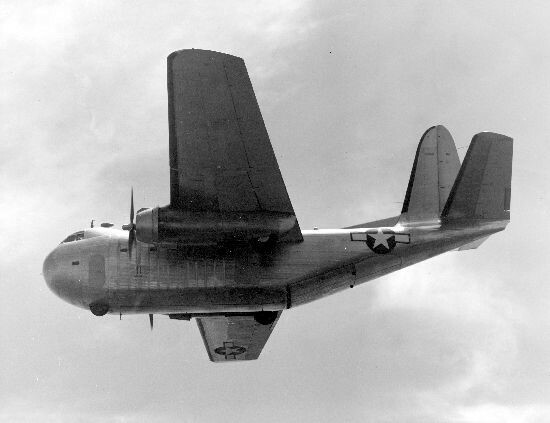 This caused the Army to cancel its order for the C-93 and the Navy to reduce its RB-1 order from 200 to 25, of which 17 were delivered in March 1944. On 13 April 1944, during a Naval Air Training Command (NATC) evaluation flight of RB-1 prototype U.S. Navy NX37097 at Patuxent River NAS, Maryland, the aircraft crashed, killing one of the crew. The aircraft was damaged beyond repair and written off, but the pilot reported that the stainless steel construction of the aircraft contributed to saving his life. Production RB-1 aircraft never entered squadron service with the Navy, but a few were briefly used by Naval Air Stations as utility aircraft. With only 17 aircraft in inventory, the RB-1 was not feasible to maintain on the active list, and it was retired from U.S. Navy service in early 1945. The extant RB-1s were then transferred to the War Assets Administration (WAA) to be sold as war surplus. In 1945, the WAA sold 12 Conestogas to the National Skyway Freight Corp for $28,642 each. The new company, founded by members of the AVG Flying Tigers immediately sold four RB-1 aircraft to other buyers, which paid for the entire WAA contract. 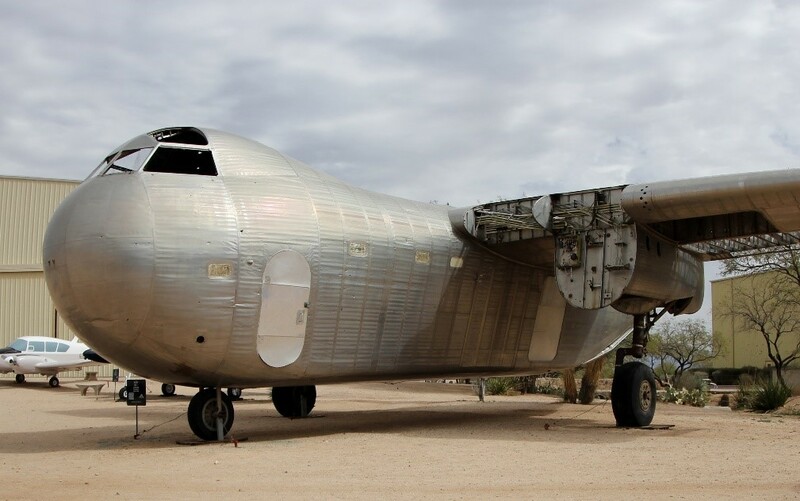 The seven remaining National Skyways aircraft were used to transport a variety of cargo, shipping fruit and furniture from its base in Long Beach, California. Pilots reported that the Budd transports were temperamental; in particular, exhaust stacks kept falling off and causing engine fires. There were three more crashes of Conestogas while in service with National Skyway Freight, one each in Virginia, New Mexico, and Michigan. The crash in Virginia was a belly landing at a country club brought on by fuel exhaustion following weather-related problems. The Albuquerque, New Mexico crash was due to a downdraft during a snow storm, 80 miles (130 km) from Albuquerque. Pilot and co-pilot were killed when they were thrown through the windshield and the aircraft skidded over them; the flight engineer survived. In 1947, the U.S. Army (and later the U.S. Air Force) gave National Skyway Freight a large contract for trans-Pacific freight, for which it leased military aircraft. 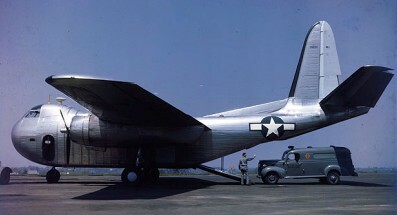 The company changed its name to Flying Tiger and replaced the RB-1s with C-47s for its U.S. freight routes; the RB-1s were sold off to other buyers. One of these aircraft, a prototype RB-1, "NC45354" was sold to the Tucker Motor Company to transport its demonstration 1948 Tucker Sedan to auto shows around the U.S.; it was reportedly later abandoned at an airfield in Oakland, California after repeated mechanical troubles. In Brasil, Viação Aérea Santos Dumont started with the purchase of two Catalinas and a Budd Conestoga, both former Rubber development Corporation. The RB.1, registered PP-SDC "Tio Sam" was damaged in an emergency landing at Campo dos Afonsos on 04.01.1947, landing on one engine, declared unrecoverable and there scrapped. 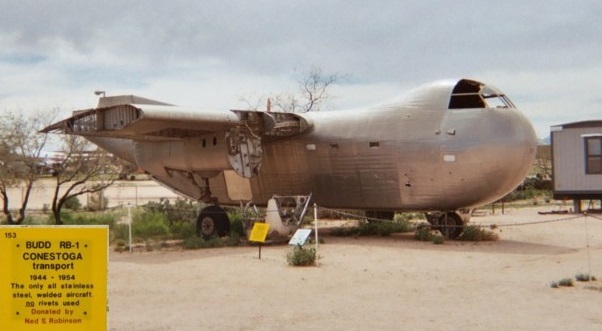 A single unrestored Budd RB-1 is on display at the Pima Air & Space Museum in Tucson, Arizona.